1. ALL EMPLOYERS must follow the serious injury rule and…. For more information on reporting a fatality or severe injury click here. 2. EMPLOYERS WITH 11 OR MORE EMPLOYEES must maintain OSHA recordkeeping forms…. OSHA 300 log along with a claim report must be kept in your OSHA records. If you are unsure an incident is OSHA recordable use OSHA Recordkeeping Advisor. OSHA 300a must be posted for all employees to view from Feb 1 to April 30th of each year. Only employers in exempt industries can be exempt from this portion of the recordkeeping regulation. (See Partially Exempt Industry list). 3. EMPLOYERS WITH 20 TO 249 EMPLOYEES in certain industries employers must also annually file the OSHA 300a through OSHA.gov…. 2016 data in Form 300A must be submitted by July 1, 2017, and again by July 1, 2018. Beginning in 2019 and every year thereafter, the information must be submitted by March 2. Form 300A must be submitted by July 1, 2017, and must submit information from all forms (300A, 300, and 301) by July 1, 2018. Beginning in 2019 and every year thereafter, the information must be submitted by March 2. Forms, instructional videos, incident rate calculators, and interactive tools can be found in the Recordkeeping section of the Keevily Portal to help answer your questions about this OSHA regulation. Establishment: The electronic reporting requirements are based on the size of the establishment, not the firm. The OSHA injury and illness records are maintained at the establishment level. An establishment is defined as a single physical location where business is conducted or where services or industrial operations are performed. A firm may be comprised of one or more establishments. 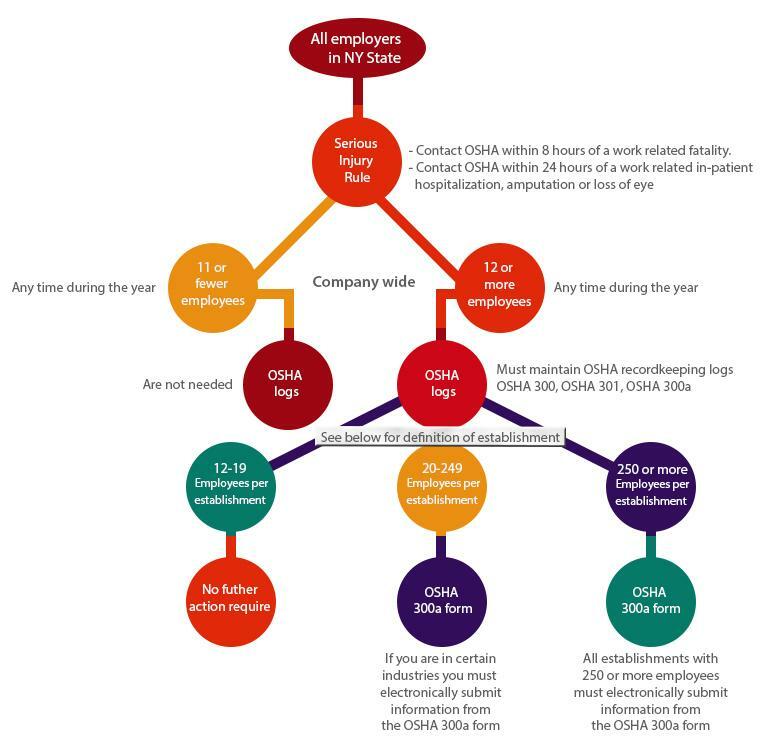 To determine if you need to provide OSHA with the required data for an establishment, you need to determine the establishment's peak employment during the last calendar year. Each individual employed in the establishment at any time during the calendar year counts as one employee, including full-time, part-time, seasonal, and temporary workers. Electronically, using the event reporting application that will be located on OSHA's public website.